Hey everyone! I hope your week is going great. Our internet has been out since over the weekend, so I am just now getting to post for the week. It is so hard to live without the internet! Ha ha. 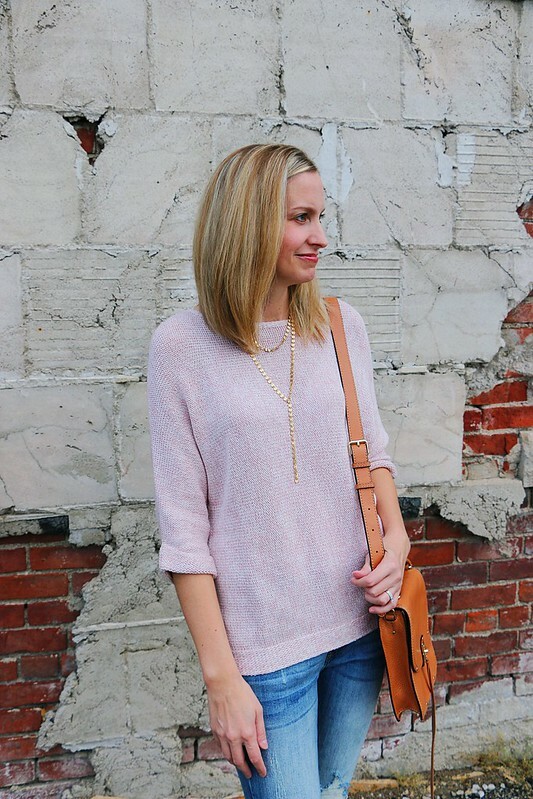 I am loving this dolman sleeve sweater. 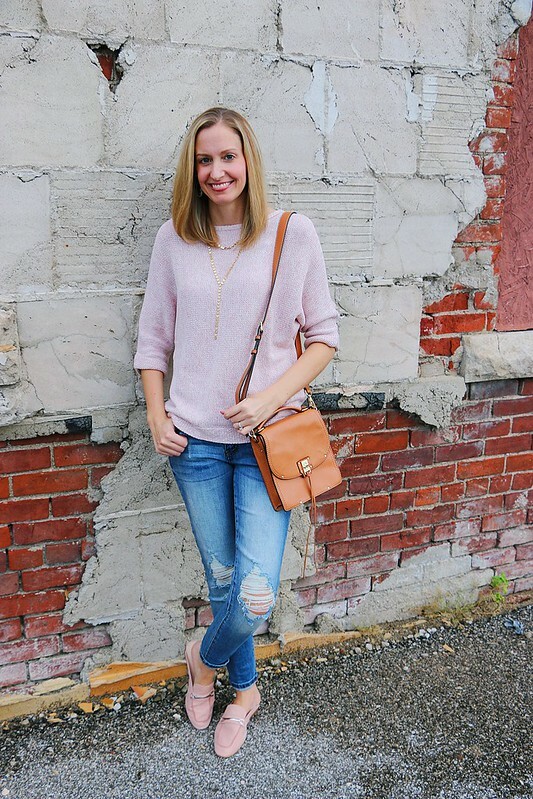 It is so comfy and of course I am obsessed with the blush color. I paired it here with denim but I think it would also look great with black or white pants as well. 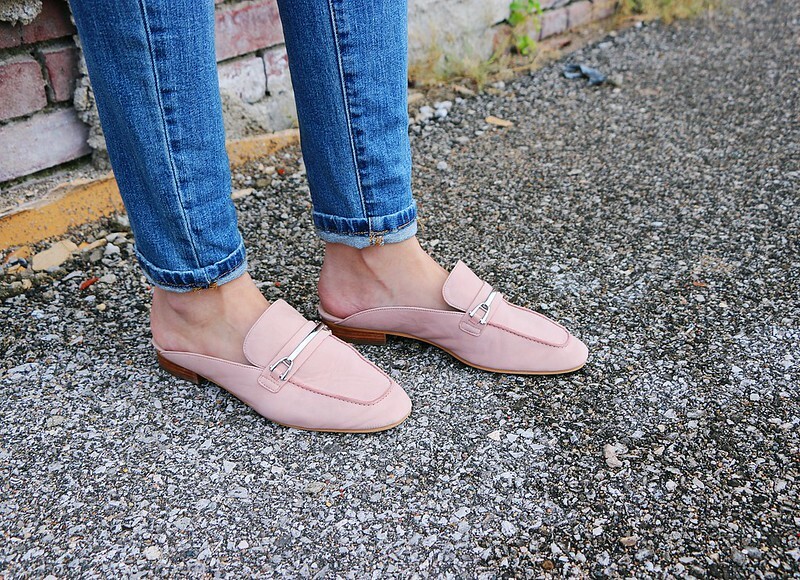 These flats are some of my favorites. They are so easy to just slip on and go. 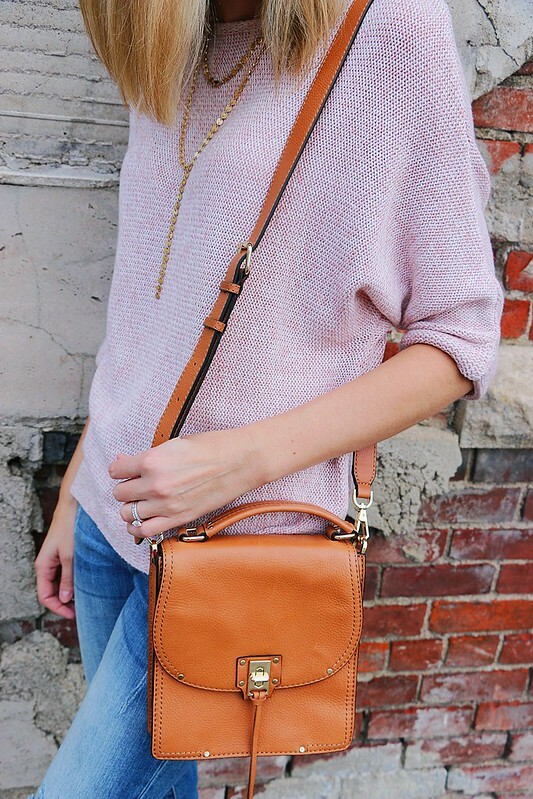 My crossbody bag is such a great bag and it is on sale. The interior is quite small though. It just holds the essentials. 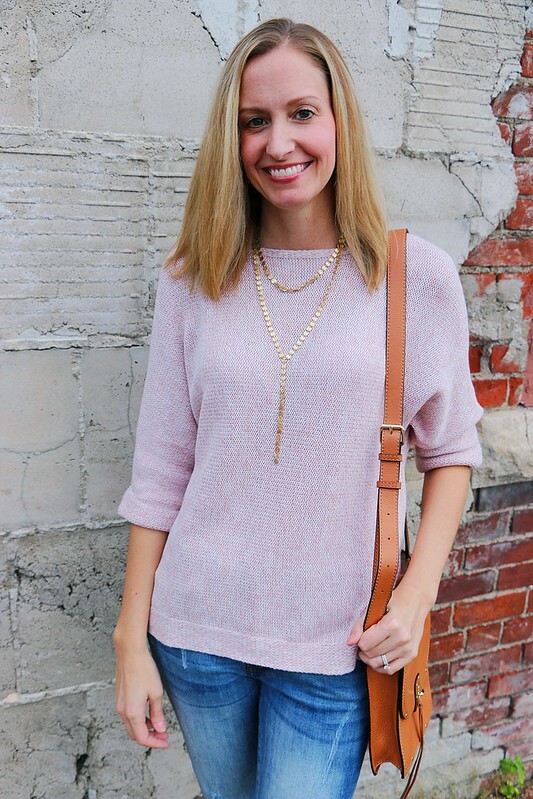 The layered necklace that I am wearing is perfect for dressing up any look and it is right around $30. It goes with anything and I wear it often. Thanks for stopping by today and I hope you have a great day.